The Quantum from the German high-quality manufacturer IP44.de is the further development of the Quant IvyLight. With a height of 24 cm it is not only twice as large as its sister but it also emits its parabolic light cone upwards and downwards. 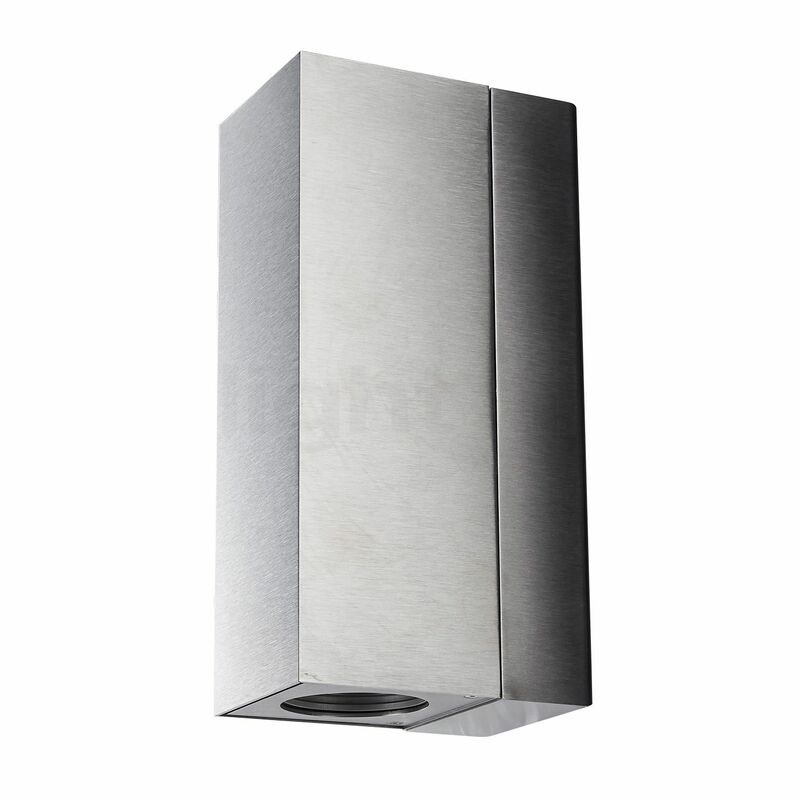 Moreover, the purist design of this luminaire made of high-quality brushed stainless steel makes the luminaire a classy eye-catcher that attests to the good taste of the owner. The IP44.de Quantum is also available in anthracite and cool brown. For this, the wall lamp easily blends with almost any façade. The IP44.de Quantum emits is parabolic light cone upwards and downwards. Furthermore, it impresses by its exemplary durability that is facilitated by the IvyLight technology. It offers a holistically attuned colour, temperature and chip management that raises the functionality of this wall light to a remarkable level. This becomes clear, for instance, when looking at the LED lamps that impress with an exemplary luminous efficacy. The Quantum wall light only requires 15 watts to produce a luminous flux of 1,220 lumens. It practically corresponds to the brightness achieved by a 100 W incandescent lamp. The energy savings are beneficial for your household budget as well as for the climate and the environment. Further benefits of the IvyLight technology: a heat management that protects the power LED lamps of the Quantum from overheating and thus prevents premature aging. This enables the integrated LEDs to provide a reliable performance for a period of 50,000 hours. According to protection type IP55, this wall lamp is protected from the ingress of dust and water jets. Tell other customers and us about your experiences with the Quantum ! 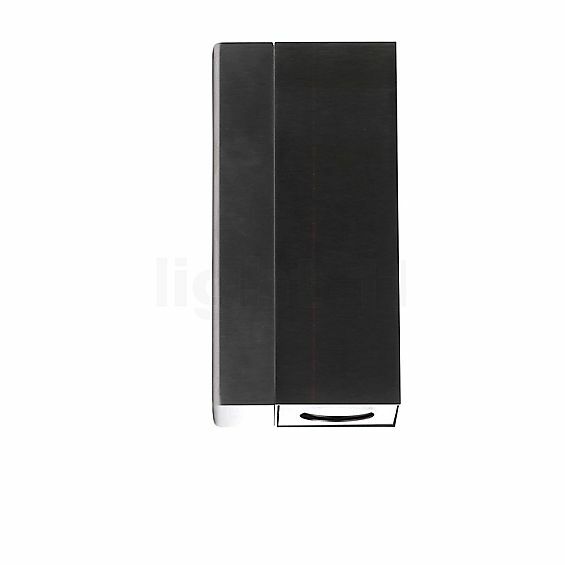 The outstanding lighting properties of the IP44.de Quantum wall light come to the fore in the entire outdoor area. It truly is a blessing, for instance, when is supplies house entrance lighting. Attached close to the entrance door, it does not only offer guidance to the inhabitants but also to visitors. It also makes the key search a thing of the past. The wall light additionally turns out to be a great choice for balconies and terraces, where it provides for a reliable orientation and a pleasant atmosphere. In the vicinity of stairs, the Quantum from IP44.de also provides extra safety by illuminating possible tripping hazards. Installed on the exterior wall of the building, this wall light illuminates the façade and impressively highlights the architecture.